By default, your phone will switch to your Call Screen when a new call comes through. Unfortunately, this will cause your App to close, even in the middle of a live-stream and/or recording. Following these steps will prevent your App from closing due to phone calls through the use of the Do Not Disturb feature. Open "Settings" on your device, and select "Do Not Disturb" to open its preferences. 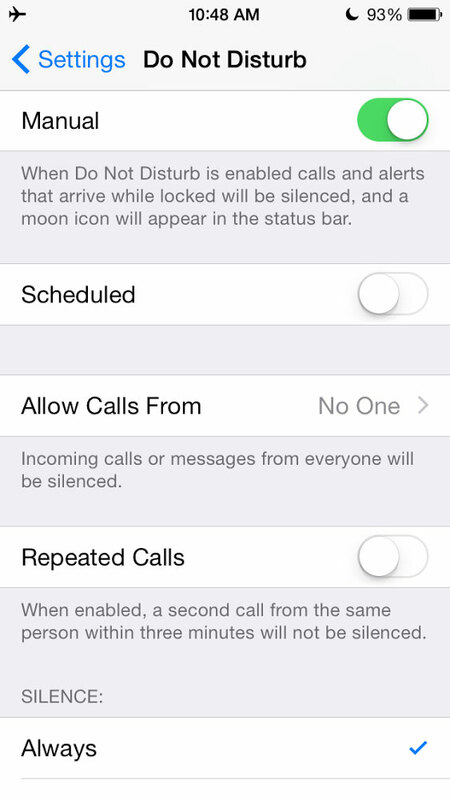 Switch your phone to “Do Not Disturb” mode to disable incoming calls and texts. Set "Allow Calls From" to "No One". Set the "SILENCE" preference to "Always". Switch your phone to "Airplane Mode". Open your WiFi settings and turn it back ON. Connect to the desired network.